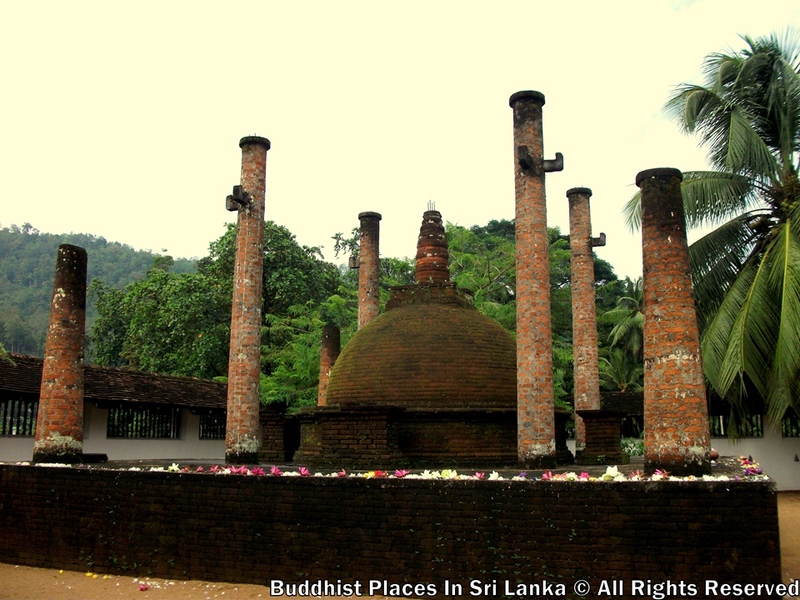 Saman Dewalaya, the shrine of god saman is a citadel in Rartnapura Frozen with history, surrounded by lofty mountains, hallowed with worship and prayer in simple serenity.Writers on Sri lanka and historians have mentioned the existance of four distinct clans in Sri Lanka the Deva clan, The Naaga clan the Yaksha and the Raksha clan.People in Ratnapura District belonged to the Deva clan. 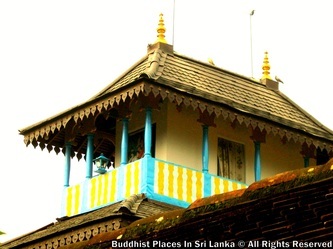 Representing thin clan was Sumana a strong able religions district administrator. He was popular and over pavering not merely as a peoples Leader, but as an extremely previleged person blessed to have close access to Lord Buddha, specially on Lord Buddhas three historical visits to Sri lanka. The Ceylon chronicles Mahavansa, Deepawansa and the Samantapasadika the Vinaya commentary give descriptions of the buddhas three important holy journeys to the island made in the fifth month, the fifth year and the eighth year after his enlightenment.Mahawansa states that Buddhas first visit to Srilanka was to Mahiyanganaya. Sumana the devoted follower of the Lord Buddha was amongst those who gathered round Lord Buddha in Mahiyanganaya.After the Dhamma sermon by Lord Buddha, Sumana exhilarated with the preaching, requested Lord Buddha to bestow a few strands of hair from his head to be enshrined. 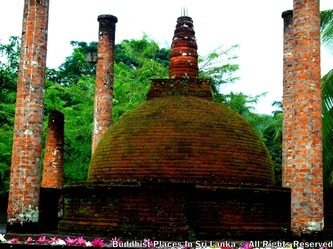 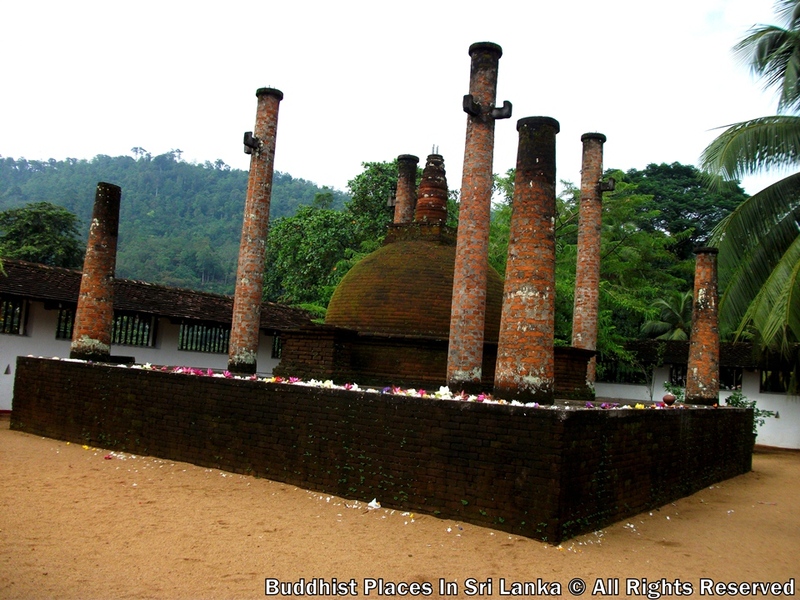 Lord Buddha granted his request and the relic was enshrined in the Miyuguna seya (stupa) in Mahiyanganaya.There after according to the Mahawansa Sumana the great decipal of the Lord Buddha attained the high spiritual state of Sovahan.Lord buddhas Second visit was to Kelaniya. 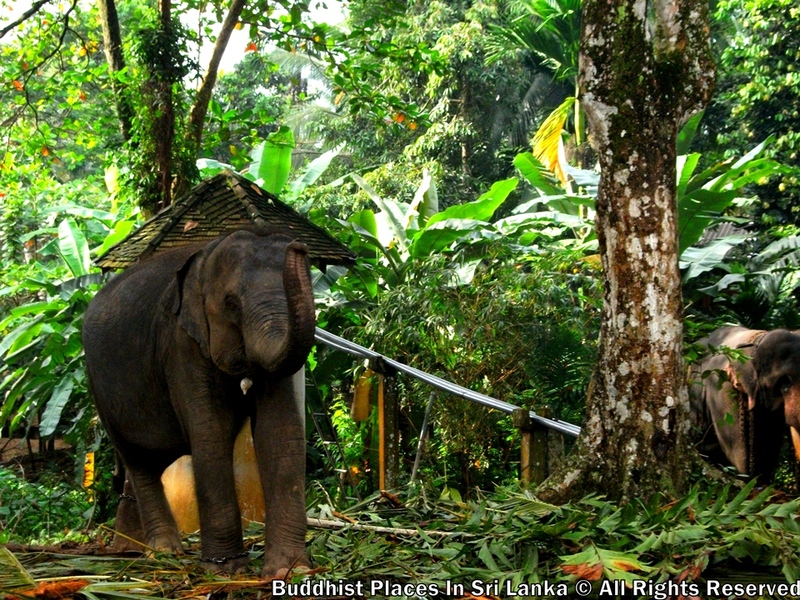 Sumana paid homage to Buddha and extended an invitation to visit his own area of divelling in Ratnapura wich would be recorded as Lord buddhas third visit.Sumana earnestly requested Lord Buddha to leave a lasting impression in the Lofty rocks of Adams peak to be incessantly worshiped by the people.Perhaps seing the Magnanimity of faith in Sumana Lord Buddha left his foot print and the holy mountain remains a path way to millions who gather in peaceful worship. 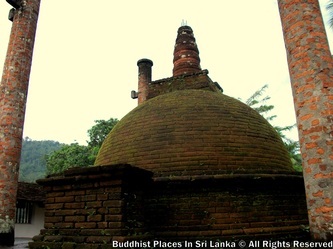 Through successive ages now a ceaseless pilgrimage. 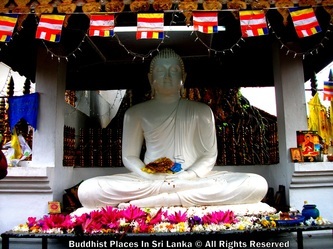 Inspired by the Lord Buddhas doctrine, following the Lord Buddhas Dhamma, listening to his holy preachings Saman attained the higher state of Ariya. 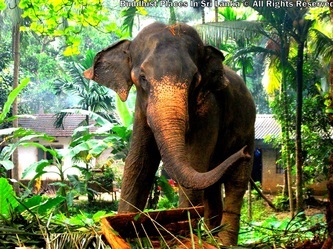 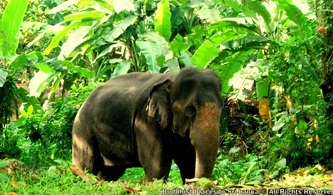 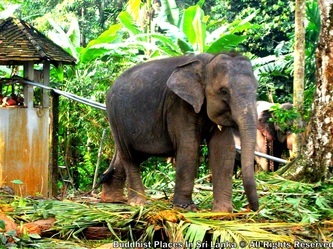 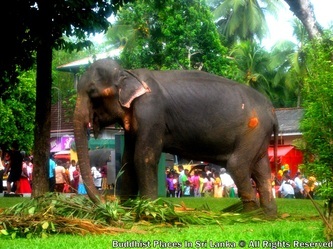 Later After his demise Saman become a symbol of worship and was acclaimed as God Sumana Saman. 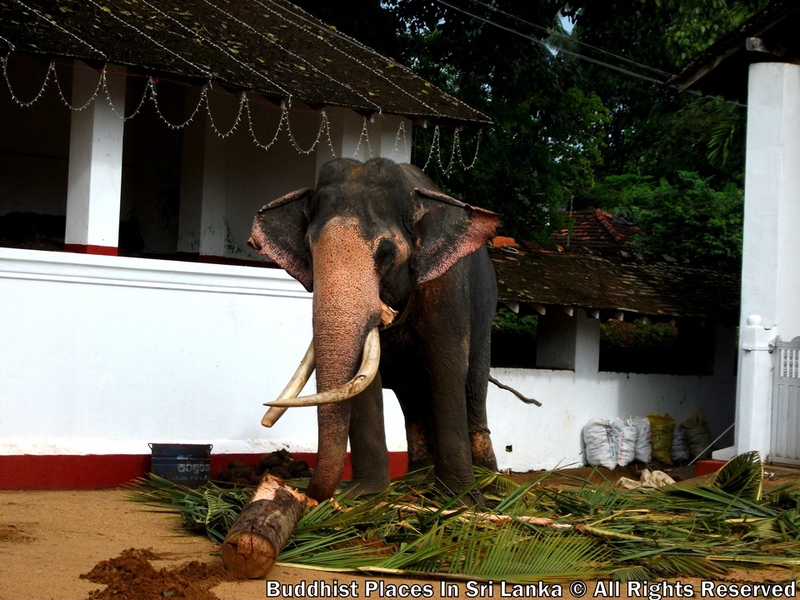 His saintly appearance remained a symbol of peace and Compassion. 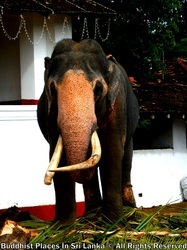 God Sumana Saman was also Connected with non Violence and tranqnitity. 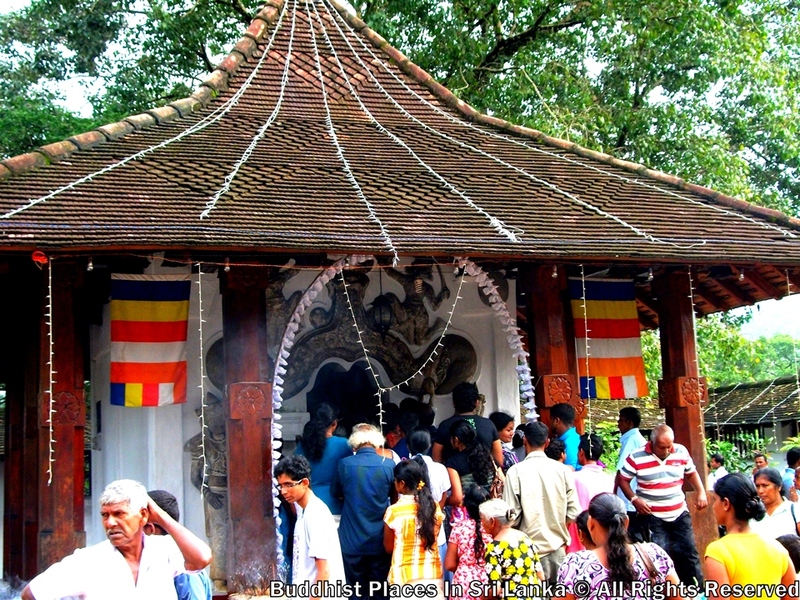 He is shown in statues holding a lotus bloom depicting calm peace and serenity.The statue of God Sumana Saman with a Lotus in hand in the Makara Pandal in Shanti Mandapaya at Saman Dewalaya is a brilliant example of God Sumana Saman’s is godliness. 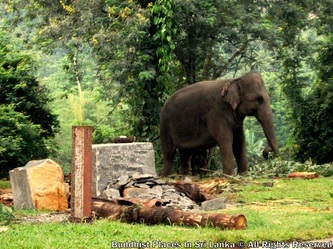 Folk of the Deva clan built a shrine in the peak wilderness to pay Homage to God Sumana Saman.The Mahawansa chronicle bears evidence of a statue carred out of Sandlewood brought from Gampola by a court minister named Pathirajadewa during the Dambadeniya period. 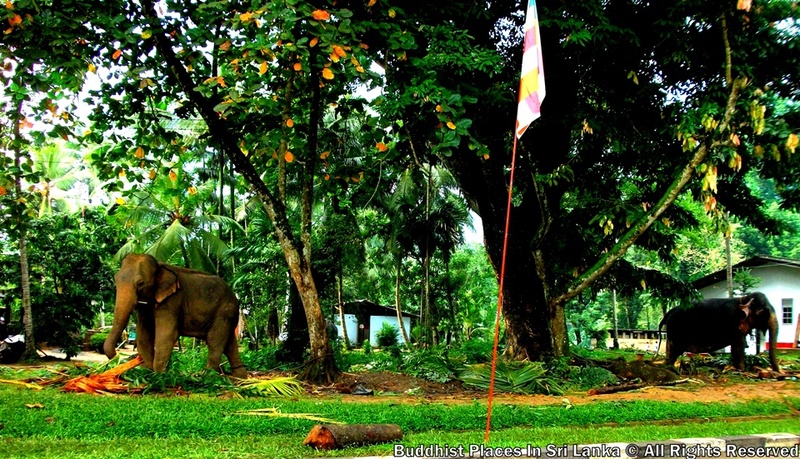 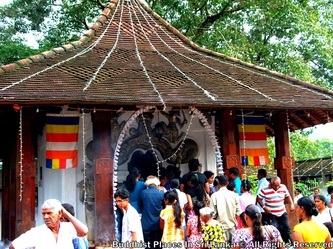 There is a belief that this statue is of God Sumana Saman, the same statue taken in procession from Galpoththawa Temple in Pelmadulla to Adams peake and back to commence and conclude the pilgvim season.There said to have existed a Buddhist Temple named Saparagrama Viharaya in the Ratnapura. 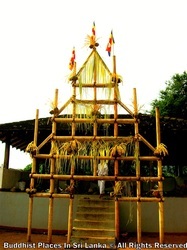 Saman Devale premises. Monks from Saparagrama Viharaya have attended the pinnacle laying Ceremony in Ruwanweli Saya during King Dutugemunu’s period. 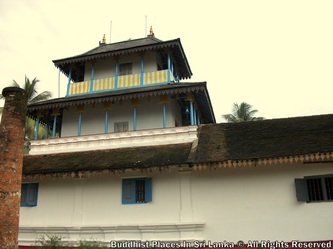 This duely confirms the historical and religious connections that Sparagrama Viharaya had with other renowned Buddhist temples in the country. A Buddhist moule by the name of Ven. Seelawansa had been on a pilgrimage to Adams peak. 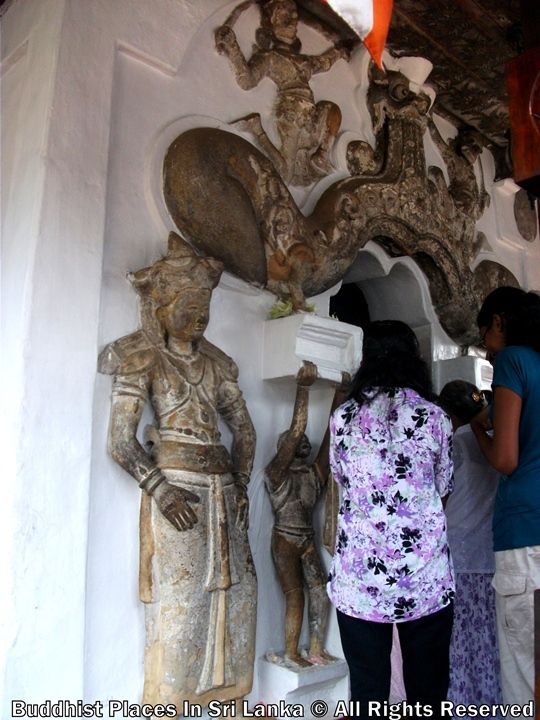 One night he receives a strange message more in the from of a dream about a statue kept in a rock cave in the wilderness. Deciding to follow this message the ven monk found the statue which was of God Sumana Saman. It was brought in a procession to Sapagrama Viharaya.It is mentioned in the ‘Saman Siritha’ that there after Saparagrama Viharaya was named Saman Viharaya.Before the reign of King Rajasinghe of Sitawaka Sumana Saman Dewalaya had been in the control of the Portuguese.For 40 years the Portuguese controlled the Holy land temples, slupas, statues and all Valuable relics and treasures were destroyed. 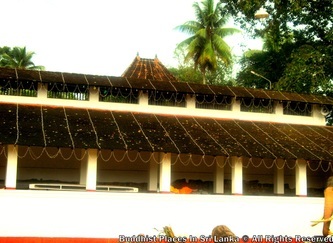 King Rajasinghe of Sitawaka was successful in restoring this damage and he rebuilt the Saman Devalaya owing to strong Hindu influence Saman Viharaya Could not be completed. 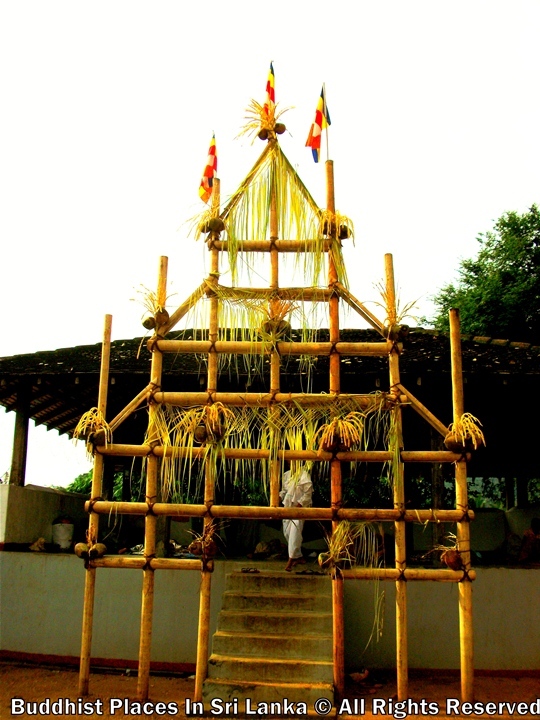 After 40 years King Rajsinghe held the Saman Dewala Perahera. 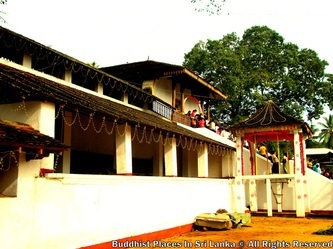 Lord Buddhas sacred Tooth Relic was kept hidden in Kurahan stone in the Delgamuwa Temple in Kuruwita, in protection of Portuguese invasion. 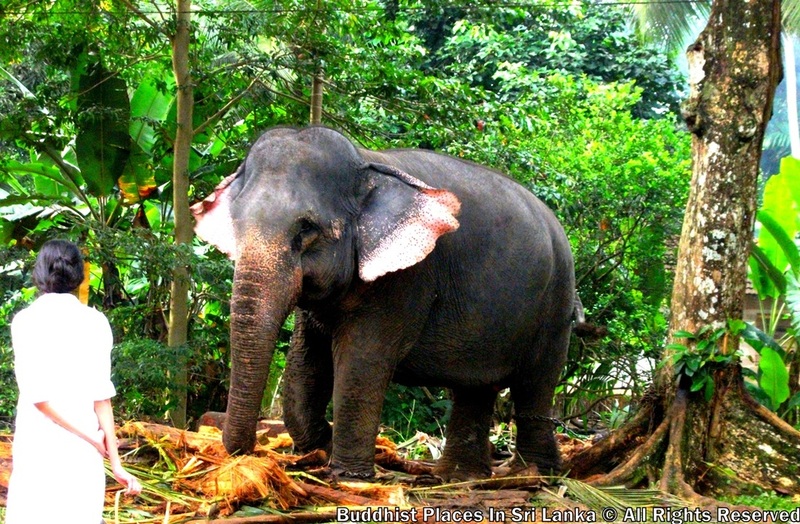 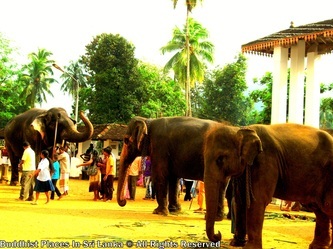 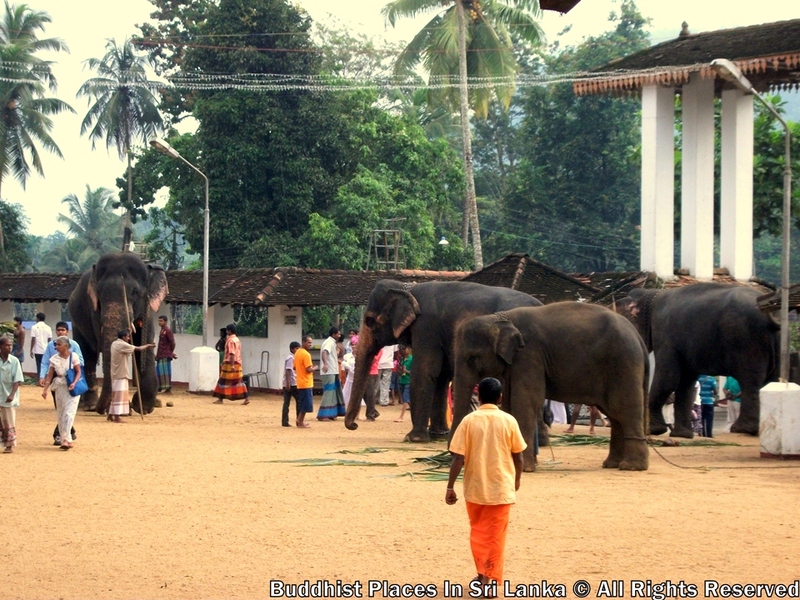 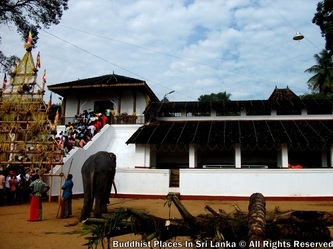 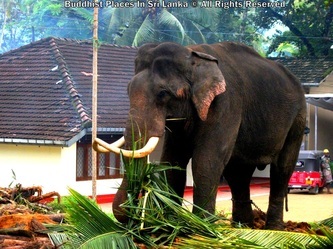 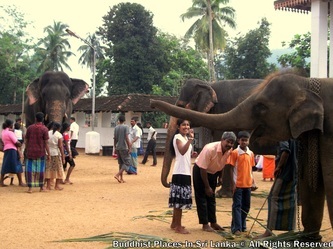 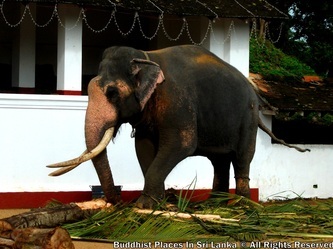 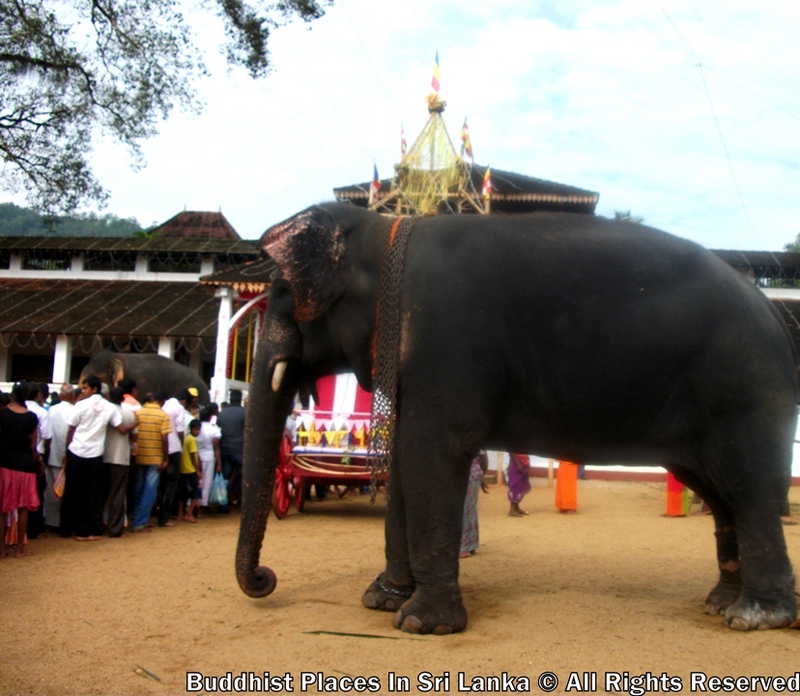 Yet midst great threat and danger the Dlada Perahera was held and the sacred Tooth Relic brought in procession from Delgamuwa Temple to Saman Dewalaya. 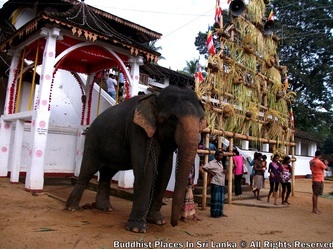 This ceremony took place Continuously from eleven years which is recorded as a great signifieant religious and historical happening. 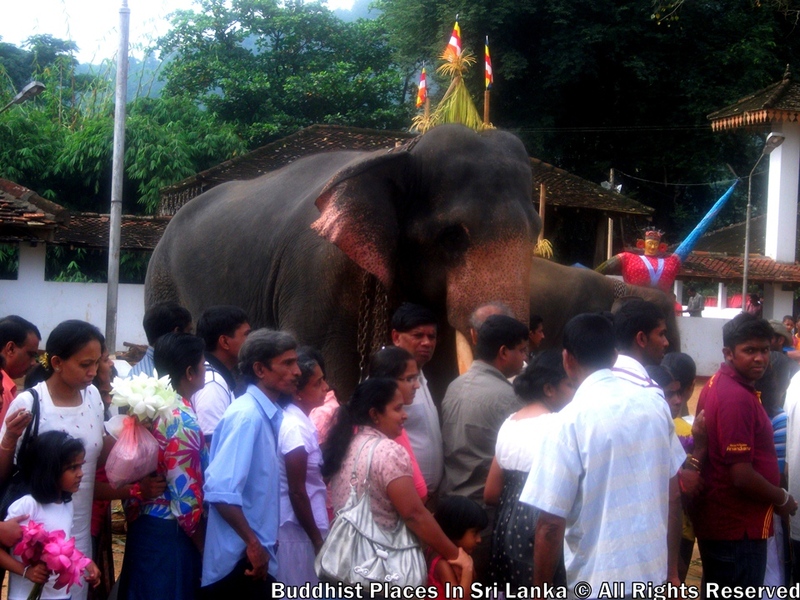 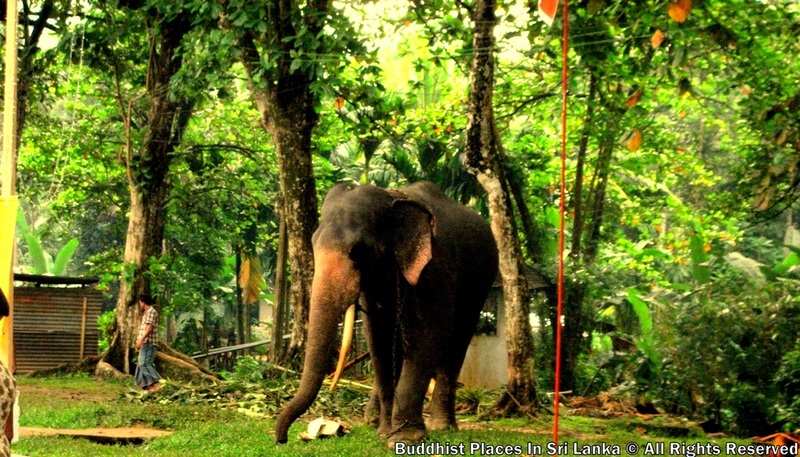 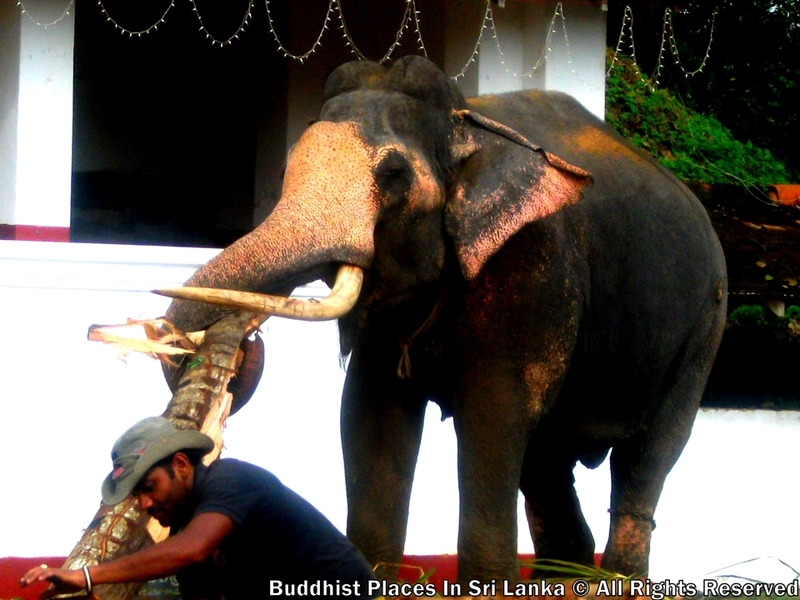 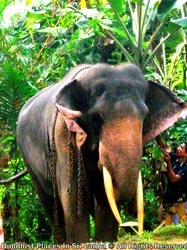 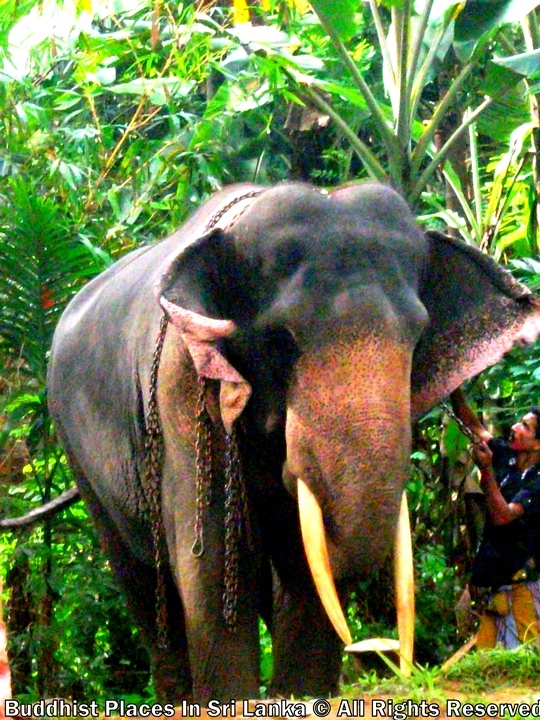 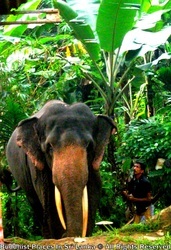 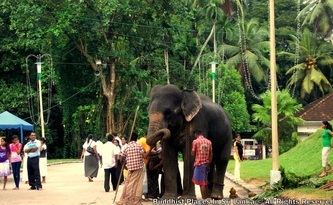 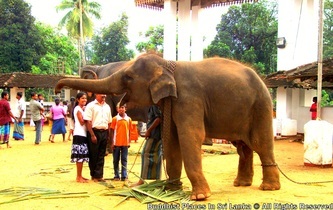 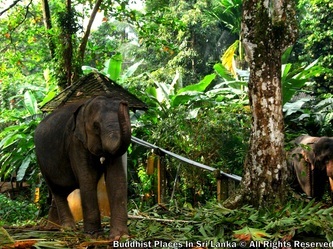 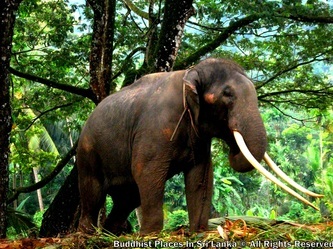 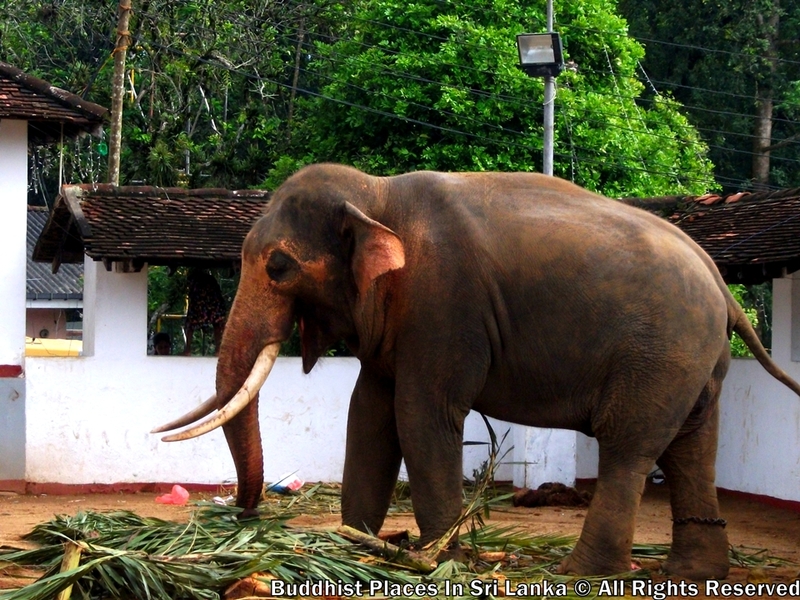 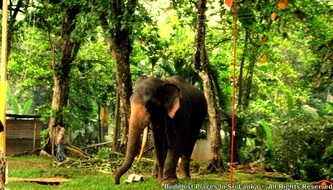 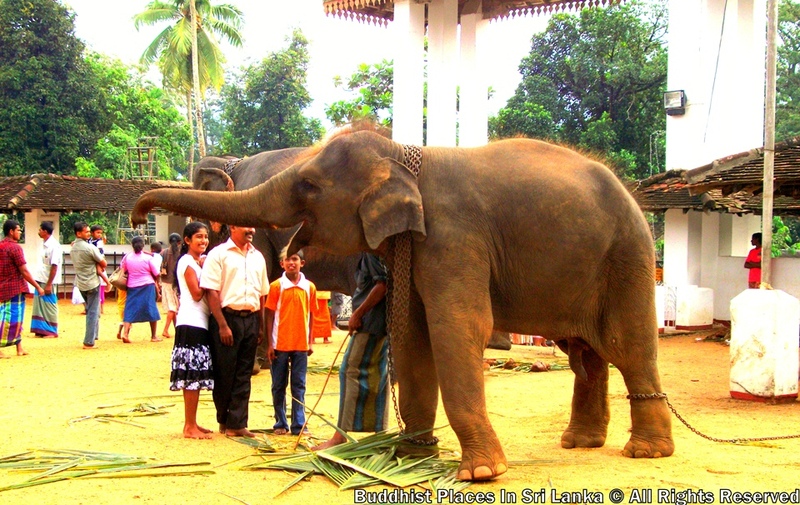 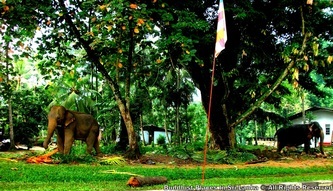 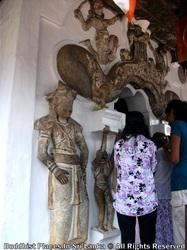 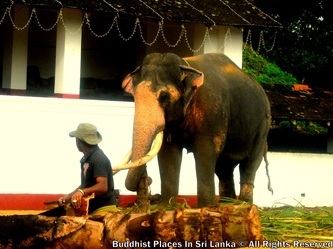 Later the sacred Tooth Relic was safely removed to Kandy and kept in the Dalada Maligawa. 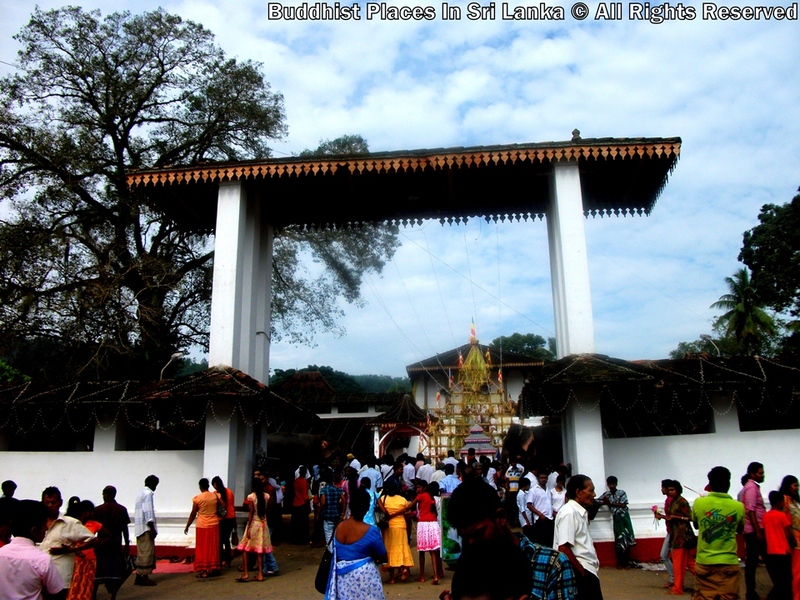 symbalize This event by hiving a special Dalada Perahera in the procession held annually.